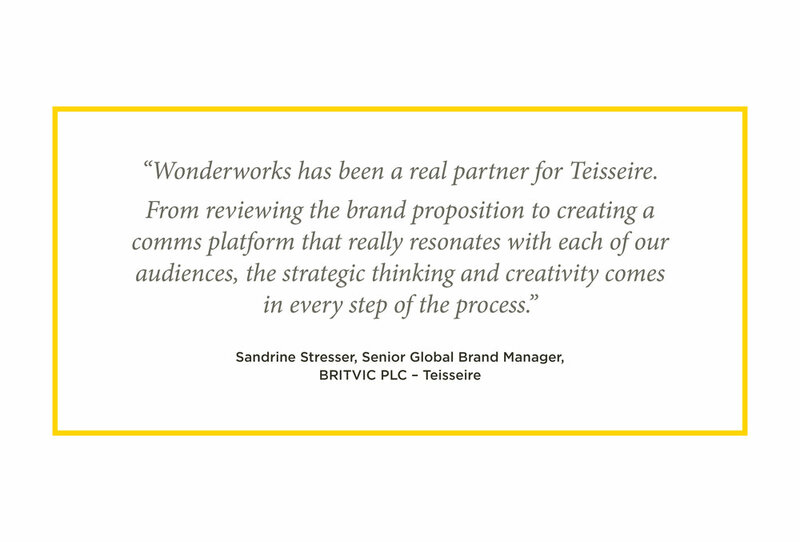 Dramatically increase global market share by supporting multi-channel distribution: develop a positioning, communications and activation strategy to introduce Mathieu Teisseire to the trade. The market leader has achieved success through sustained commercial efforts over a number of years. 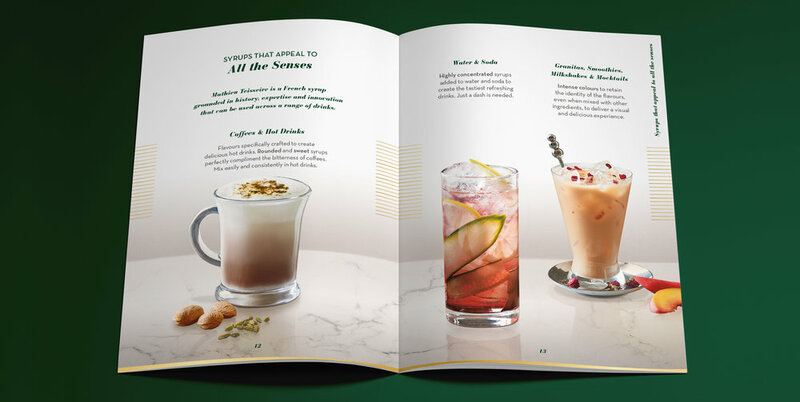 It has provided high levels of service and product innovation, resulting in a huge range to meet the varying needs of the fragmented global syrups market. However we identified that there is an opportunity to grow the category and increase market share by thinking differently about the role that syrups play. Having provided business consultancy to establish the complex global commercial landscape we set about developing a communications and activation strategy to meet the premium positioning. 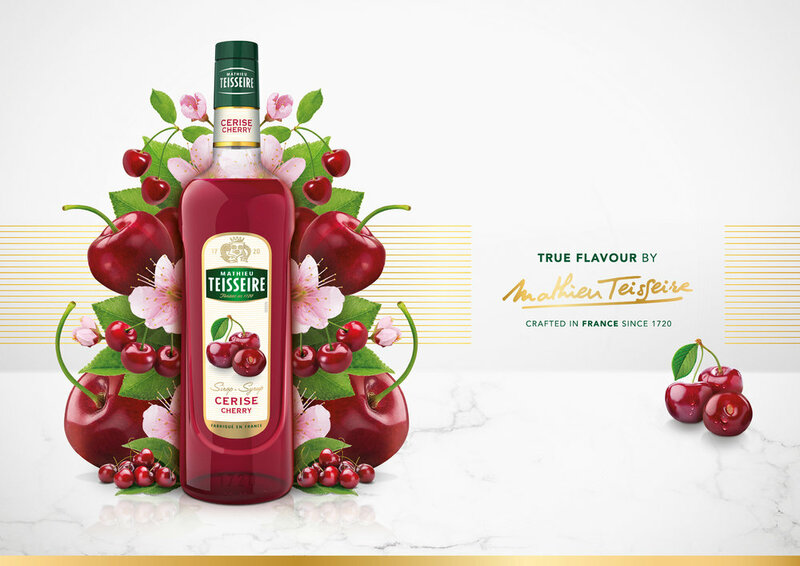 Elevating the product truth of flavours as close to the real fruit as possible we developed a communications platform around ‘True Flavour’. 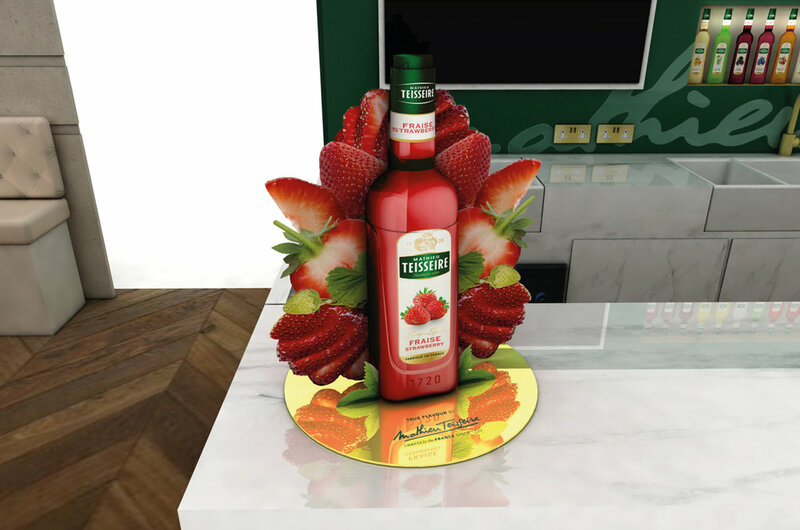 Hero key visuals were developed to celebrate the flavour credentials in a premium way, and these were supported by key launch material such as brand videos and print material. A trade show concept was developed to launch the brand to the trade; this was toolkitted and has been used to execute multiple trade shows around the world in a consistent way. The new brand has been successfully rolled out across global markets and celebrated at the leading trade event Bar Convent Berlin. We are now moving into developing brand activations to accelerate growth across global markets.